The life of ceramic tiles depends not only on the quality of laying and choice of suitable material for the room concerned, but also on the method and materials used to clean them. 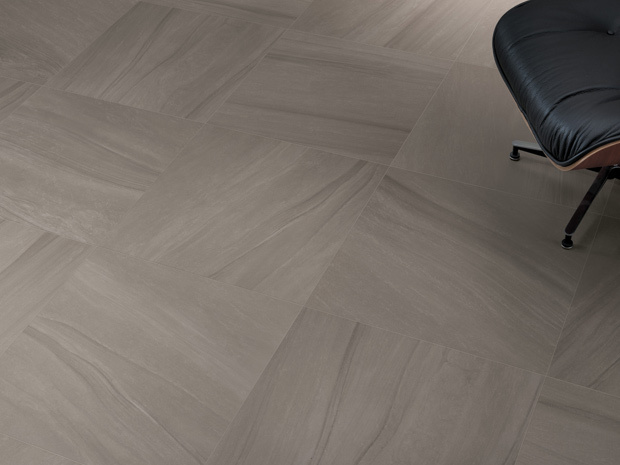 Porcelain stoneware tiles are characterised by very low water absorption (<0.05%). They therefore require no particular care and can simply be washed with hot water and normal commercially available cleaning products (with the exception of those containing hydrofluoric acid). However, thorough cleaning immediately after laying is vital. All residues of the grout used for joints must be thoroughly removed from the surface of the tiles. This is vital to bring out the best of the aesthetic characteristics of the product and to make it easy to clean and stain-resistant. 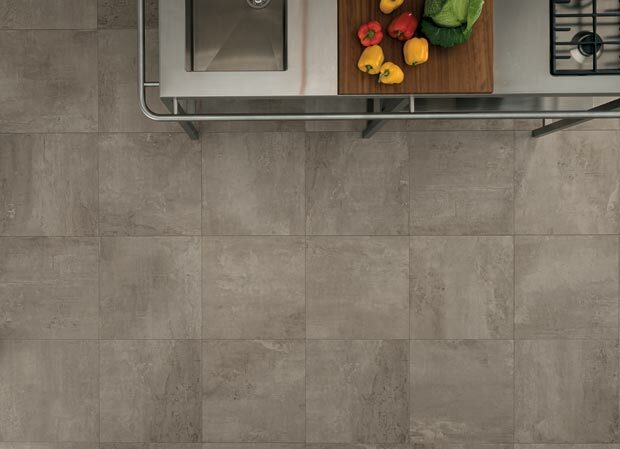 A thin film of grout on the surface of the tiles considerably increases the tendency of the floor to retain dirt. They must therefore be cleaned immediately after laying using a specific cleaning product. You should consult the instructions given by the manufacturer of the grout used for the joints, normally specified on the pack. To obtain the professional cleaning products mentioned, contact the dealer where you bought the tiles. Remove dust from the surface with a brush or vacuum cleaner before washing the floor or wall. Never use cleaning products containing hydrofluoric acid or its derivatives as this would cause the tiled surface to deteriorate rapidly. Do not use pads made from iron or other abrasive materials, particularly in the case of glossy tiles where possible scratches or dull areas would be especially obvious. Keep the floor as clean as possible. Dust and in particular sand increase the abrasive effect of tread. Do not drop heavy objects on the floor. Use a mat to protect areas where objects are most likely to be dropped such as in front of the sink or kitchen hob. The quicker you act, the easier it is to remove marks. After washing, rinse the floor. It will stay clean longer. The use of waxes, oily soaps, impregnants or other surface treatments is unnecessary and not recommended. Cleaning products containing nourishing agents (such as linseed oil), silicones, varnishes, waxes, greases or synthetic emulsions should be avoided as they leave an oily polymerised film on the surface of the tile which retains marks and dirt, making cleaning progressively more difficult. In the case of polished tiles, polishing may open the pores of the surface and make it more susceptible to dirt. You are therefore recommended to apply a uniform layer of sealer for porcelain stoneware (after thoroughly cleaning the floor) which will protect the surface from marks and considerably facilitate everyday cleaning. For tiles with a textured surface (not smooth), dirt may deposit in the fine cracks in the texture. If this occurs, you can use a specific protective agent such as FILAJET. To eliminate the most stubborn marks, you can also use specific professional cleaning products such as FILA PS/87, a concentrated degreasing cleaner available from tile dealers. 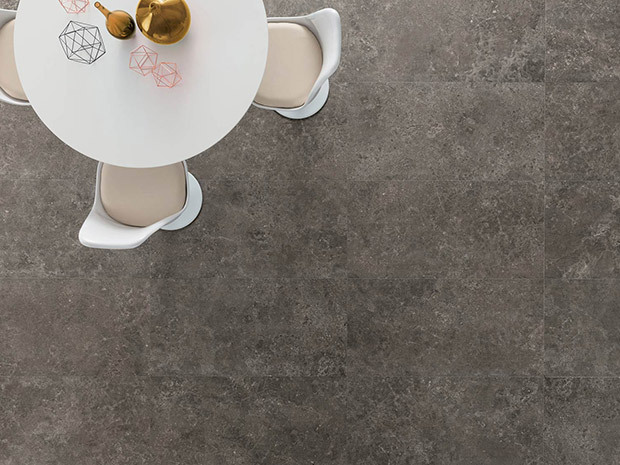 Even though porcelain stoneware tiles are one of the most wear resistant materials for floors and walls and can be cleaned using relatively aggressive products, following these simple tips will help preserve their appearance and beauty intact for many years. How do you choose the joints colour for your tiles? What floor tiles in my kitchen?